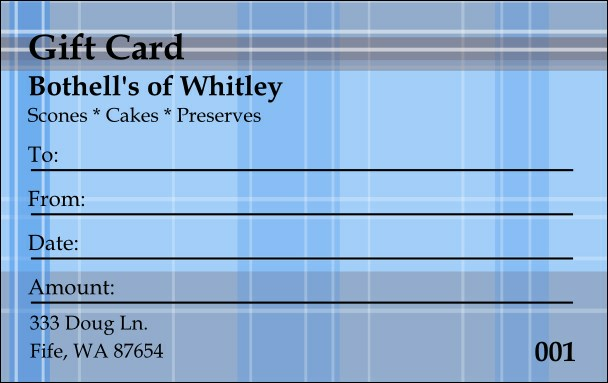 Your customers will get that warm feeling of home when they see this Blue Plaid Gift Card. It can resemble mom's tablecloth or a spring picnic blanket. Either way, this Gift Card template will warm the hearts of whomever uses it. It's great for restaurants and home decor businesses. TicketPrinting.com has you covered with fast turnaround and templates to fit any situation.